RTP Company engineers plastics for a variety of company’s such as Toyota by extruding different polymers and colors to provide the strength, color, flexibility that the customer needs to make their finished product. 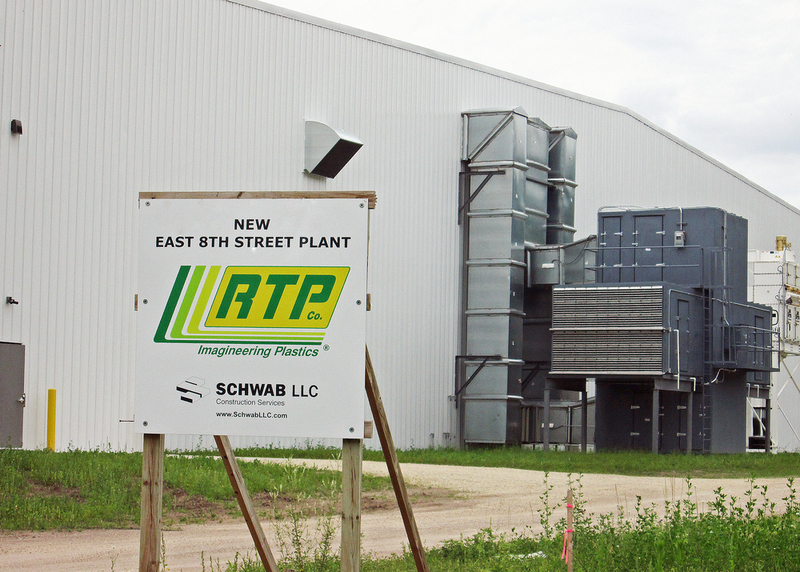 RTP Company is headquartered in Winona, Minnesota and has 14 manufacturing plants around the world. HEI began working for RTP in 2010 with their desire to have more energy efficient cooling systems in their plants, along with their concern of their use of well water for the cooling systems. RTP initially hired HEI to do a study of what it would take to convert their plant from well water to a closed loop system. Included in the study were different types of cooling systems along with their associated energy and maintenance costs. HEI has provided new or modified cooling plants at their Burleson, Texas Plant; Winona, Minnesota Plant; Gahanna, Ohio Plant; South Boston Virginia Plant; and Beaune, France Plant. In addition to the cooling system modifications, HEI has also designed filtering systems for the waste water to prevent plastic debris from entering local sewers and specialized filtering exhaust system for the VLF (Fiber) extruder lines to lower the airborne contaminants in the building. RTP Company’s recent acquisitions have led to additional facility studies being performed which will result in additional cooling system modifications and other plant upgrades.